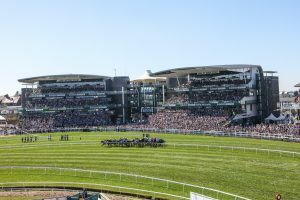 Visitors to the Aintree Grand National Festival should bet on an odds-on favourite and enjoy all that beautiful Sefton has to offer!Once the racing has ended for the day, thousands of festival-goers are set to saddle up and check out the mane attractions throughout the borough. A spokesman for Sefton Council said: “Hear it from the horses’ mouth! Sefton is the place to be during the Aintree Festival weekend and we encourage all race-goers to explore our wonderful borough. “From 22 miles of golden sands, the beauty of Formby’s National Trust pinewoods and the iconic Iron Men in Crosby, Sefton has it all. “Visit Ainsdale and Birkdale beach to see the shores where Grand National hero Red Rum honed his skills then relax along Southport’s Lord Street shopping boulevard and the resort’s fine bars and restaurants. “Take in the fantastic exhibitions at the Atkinson before a canter through Formby woods and dinner on Waterloo’s South Road to sample foods of the world. “Finish off with a photo or two of our incredible Another Place – 100 spectacular cast-iron, life-size figures by Anthony Gormley spread across three miles of the foreshore and stretching almost one kilometre out to sea. For more suggestions and ideas on where to visit and what to see in Sefton, visit the council’s instagram @sefton_council.